Polls have closed on Super Tuesday and Hillary Clinton has taken the majority of the night's delegates by winning seven states, including the night's top prize of Texas. 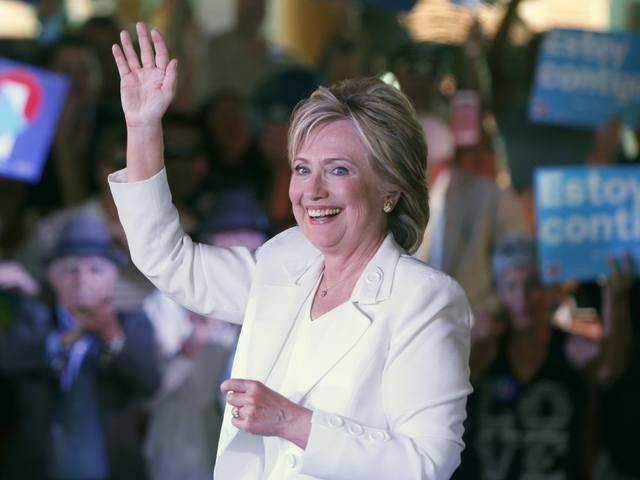 The Southern United States helped Clinton to a big night. Sanders generally won outside of the south, with the exception of Clinton winning narrowly in Massachusetts. On Tuesday night, victories for Clinton have been called in Alabama, Georgia, Tennessee, Massachusetts, Virginia and Arkansas, along with American Samoa. Bernie Sanders has taken wins in Vermont, Colorado, Minnesota and Oklahoma. Sanders spoke in his home state of Vermont, where he said it was great to "come home and see all of my friends." "It means so much to me that the people who know me best ... have voted so strongly to put us in the White House," Sanders said before a delighted crowd at his campaign headquarters in Essex Junction, Vermont on Tuesday night. Sanders has been a fixture of politics in the Green Mountain State since he was elected mayor of Burlington, Vermont in 1981. Clinton spoke to a raucous crowd in Miami. "Now this campaign moves forward to the crescent city the motor city and beyond," Clinton said. ...this country belongs to all of us, not just those at the top." Clinton also took some veiled shots at Republican front runner Donald Trump. "America never stopped being great. We have to make America whole," she said. "...instead of building walls, we're going to break down barriers and build ladders of opportunity and empowerment so every American can live up to his or her potential." A total of 11 states held Democratic primaries or caucuses on Super Tuesday. Democrats who live in American Samoa and those who reside abroad also voted. A total of 865 delegates were up for grabs in the Democratic race on Super Tuesday.